Gemco Bank was this one hit bank in a residential neighborhood in South Oceanside not too far from the office. Shot The Gonz, GSD, Tod Swank and Miki Vuckovich there. The city tried all sorts of ways to make the spot unrideable, motor oil, rough cement and finally a double fence. That did the job, another beauty of a spot rendered unskateable, you know the story, you have a similar story. Hate "The Man", love The Gonz and his frontside boneless! 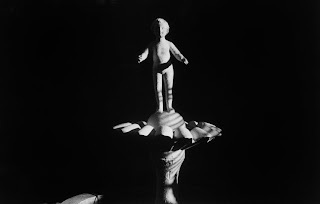 Photographic Prints of my work are available. and if you see a photo that you dig, I can have high quality signed LightJet prints made on Fuji Crystal Archival paper. Print prices run from $100 for an 11"x14" plus shipping all the way up to $500 for a 30"x40" plus shipping. There are several sizes in-between the above size range and prices vary accordingly. Contact me through my website via the "Contact" button or comment on this Blog. 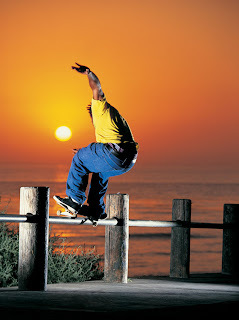 John Reeves grinds the rail at Swamis Beach in Encinitas just down the street from mi casa. Pretty. Click on the photo and go BIG! Bang a Gong! The days are getting longer after today. 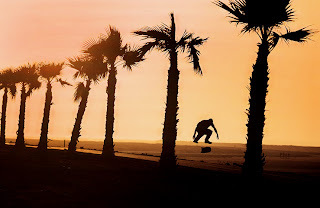 Andy Macdonald, Ocean Beach, San Diego where it's always warm and sunny. Sorry. Our dear friend, Ray Underhill passed away after a 2 year battle with cancer a few months back. Ray was like a brother to his many friends in the skate world. Ray was the nicest person you could ever meet, no exaggeration. George Powell at Skate One and Momentum Wheels have joined together to produce the Ray Underhill wheel, the proceeds earned will go to Ray's beautiful family, wife, Kerry, son, Keaton and daughter Olivia to help with Ray's medical bills. Sometimes when you're shooting, all of the elements just seem to fall into place. 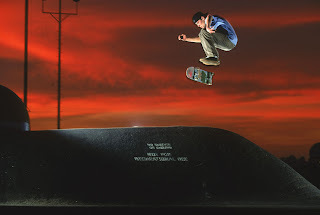 The spot, skater, camera exposure, timing come together and Mother Nature smiles down with a gorgeous sunset. Jaya Bonderov kick flipping the hip at the long gone Jump Ramp school in San Diego. 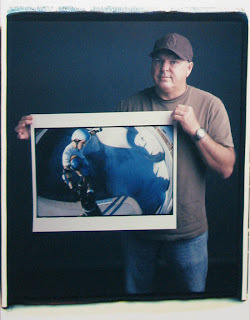 Tim Mantoani is a hot commercial photographer in San Diego who owns a 20"x24" Polaroid camera. Tim is currently working on a photo project/book/show, Behind Photographs which focuses on renowned photographers(not that I am renowned) shot with their iconic images. I chose my Chris Miller Pole Cam photo as my iconic image, it's one of my favorite images. These cameras are amazing, they are the size of a dishwasher(the machine) on a trolley and the Polaroid film comes in 40 and 60 foot rolls and each image is 20"x24" straight out of the camera. I have had the privilege of shooting with one of these Mammoth cameras on a couple of occasions and they are simply mind-blowing. The bad news is that Polaroid is ceasing film production and these cameras will go the way of the Dodo, a victim of the Digital Age. RIP. The best thing about shooting photos for a magazine is the travel. Some of my best friends I have today are the people I traveled with or met along the way. 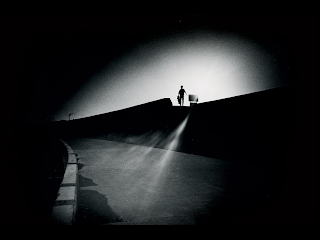 This is a photo I shot of Pierre Andre in Fuji City, Japan in 1988. We were in Japan for a month and had a Blast!